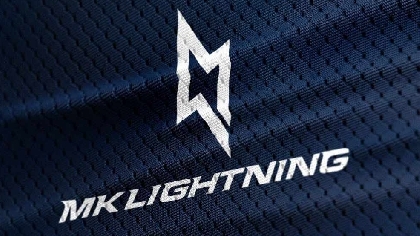 ​​​​​​​Ahead of the 2018/19 Elite League season, Milton Keynes Lightning owner Graham Moody sat down with MKFM to discuss changes, the players, and the team’s opening weekend against the Sheffield Steelers. The Lightning have experienced a lot of change this off-season, with a new head coach and almost an entirely new set of players joining. Mr Moody, like many of the team’s fans, is experiencing his own whirlwind of emotions ahead of the new season. The biggest task for Mr Moody this year was replacing Pete Russell, who had been in charge of the Lightning for the past three seasons. Veteran Canadian coach Doug McKay was chosen to replace Russell, who led Great Britain to a gold medal at the World Championships (Division 1A) this past April. The Lightning retained just one player from last year’s Elite League debut, defenceman James Griffin, but Mr Moody believes the signings that McKay has made are well balanced. The Lightning’s season begins with a back-to-back series against the Sheffield Steelers, beginning away at the FlyDSA Arena on Saturday 8th September before returning to play at MK Arena the following day. For Mr Moody’s team, a number of players have a history with the Steelers and the excitement around the opening weekend is apparent. “Tim Wallace and Eric Neiley have both played there last season as well, I know the both of them will be keen to make an impression and maybe right a few things that they feel weren’t right last season for themselves.